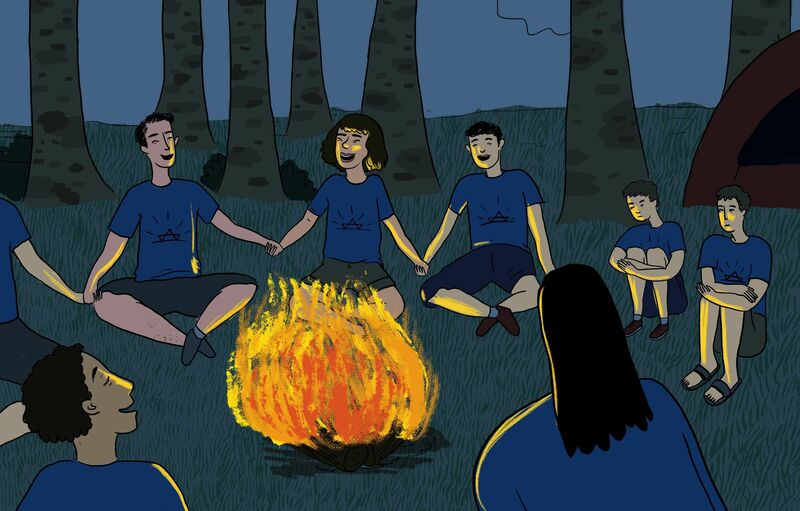 This is the first year our interfaith kids are going to a Jewish summer camp. I’m Catholic, and my husband is a pretty secular, though not entirely without faith, Israeli. Our house is a fluid mix of both traditions, and we have a good time being both. I go to church alone occasionally, and my kids join me on Easter and Christmas. We are not members of synagogue, but are regulars at our local JCC and do some holiday observance there. Our kids are getting older, 8 and 10, and my husband is worried that they are lacking in Jewish education and decided that this was the time for them to learn. That’s why they are going to a Jewish day camp. I agreed, partially because it will be good for them and also because I didn’t think it was my place to say no. But I am also worried about how they will fit in. This camp is one of the more inclusive ones, but still I have to imagine they will feel like outsiders, at least in the beginning. How can I prepare them for this experience?